Kim Lenz rocked the Main Ballroom 11:00pm show! Back at Chateau Tease to regroup for noon coverage of the Secrets in Lace Fashion Show in Orleans Showroom. Pace yourself everyone. Kim Lenz had everyone's shutters flying away in the main ballroom She's a cross between Ann Maragaret and Elvis. Who better to play Viva Las Vegas?! Stay tuned for some great photos. 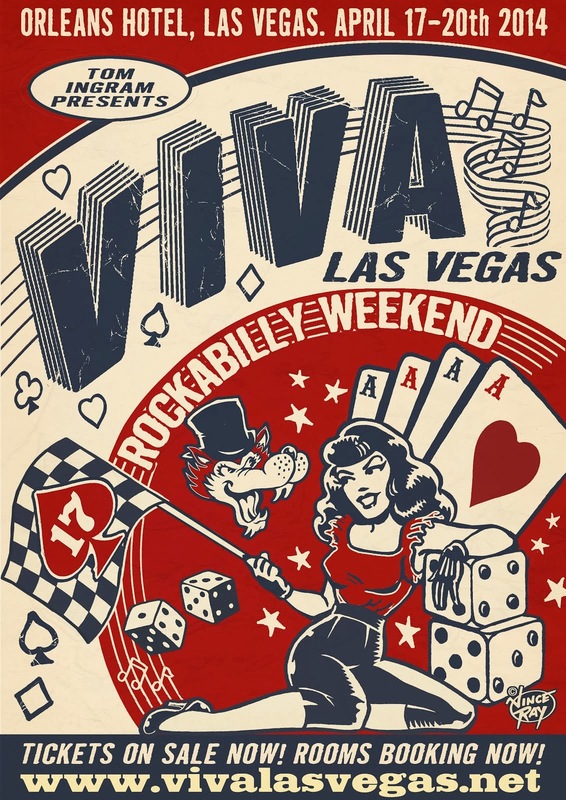 See you tomorrow for another amazing day at Tom Ingram's Viva Las Vegas. You won't believe the fun footage mini-documentary of 10 shows in 4 days we're putting together with Audrey Deluxe. Don't forget- each bar at Orleans has novelty glasses commemorating Viva 17 on it. Big sandy lends some fly right boys to play sets with Bubba J from uk. Big sandy of Cali will mc not sing this VLV. He said "Bubba J's got a real nice voice". Here is a video I took of his country sound. Nice. Line and people packed the place for the kick-off first show. Many more Burlesque Bingo chances for Fri. Sat. Sun. 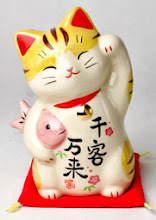 will come! Don't miss them. They will be in noon fashion show fri. Orleans showroom. Time to search for Audrey Deluxe Producer. Ten shows, 4days. Burlesque bingo here I come , 830 Als pub. Was reparking blasting Moonlight Howlers and lo, a moonlight howler walked by! Amazing timing. I saw him and turned it up and it was fun to watch him realize it was his guitar coming from my car speakers. Super fun. Can't wait to see them live 3pm Sunday up in Bienville. Ballroom ft. dj Dell Villareal Radio program. Me at the"step and repeat". Yeah Frankie that's me. My Mom took the picture. It's in the 90s here in Las Vegas today. Be sure to bring the sunblock, scarves, hats, and stay cool for the outdoor Saturday car show. There will be 800 plus original stock pre-1963 autos including the car from "Christine" and the "Love Bug". Checking the schedule for VIVA today and making your plans? Be sure to use vivalasvegas.tel for fastest loading possible. www.orleanscasino.com/groups. Rooms for VLV18 (2015) are now available for booking. Just got an email from THE Dirty Martini who's going to be experiencing her first Viva Las Vegas. You Viva Vets, tweet her @dirtymartininyc to suggest what she should do for her first time. She's also on facebook. See you next around 3pm guys. Remember, check out the continuous play of www.radiobilly.com if you need to fill your ears with sweetness and are on the way to viva. Thursday is a big registration day at Orleans. This year I'm saving energy and heading out later around 5pst. This live blog is now, well, live. Remember to see my facebook and twitter for reposts from vlv organizers. Remember the fashion show is earlier at 12noon friday this year. Text me news you want posted to +1 702 372 2004, anytime. contest winners, marriages, etc.